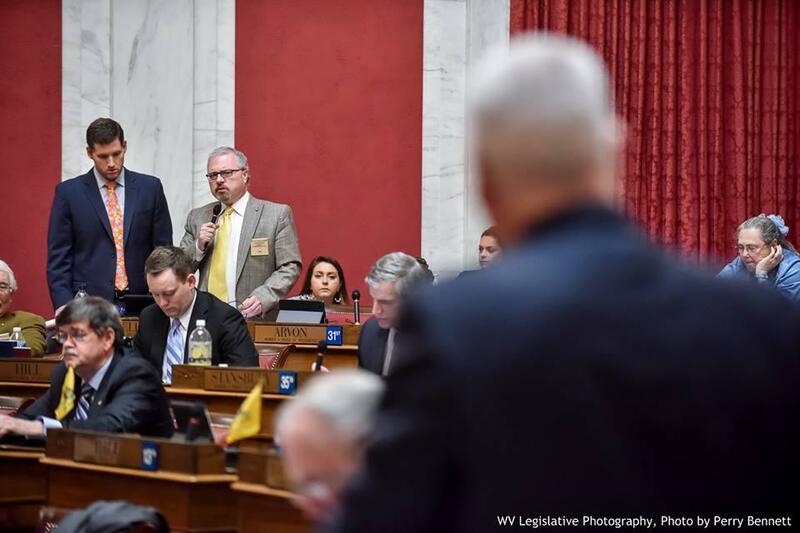 After a public hearing in the House of Delegates, members worked with stakeholders to compromise on Senate Bill 559, a bill that deals with the licensing requirements for social workers in West Virginia. Del. Gary Howell answers questions about a bill during a House of Delegates floor session. As passed in the Senate, the bill would have allowed the state Department of Health and Human Resources to create a training program for new social workers who do not have a degree in the field. Currently in West Virginia, to get a social work license a person must have a bachelor's or master's degree from a Council on Social Work Education accredited program. The bill as passed in the House still calls on the DHHR to create the training program, but only for a provisional license. Anyone apply for the provisional license must also have a four year degree in any field. “What this bill does is allow DHHR to hire the personnel that they need these are qualified personnel," Government Organization Committee Chair Gary Howell said of the bill before it was put to a vote. The bill was approved 62 to 33 Friday. An estimated 6,000 people attended the "Mountaineer Workers Rising" rally at the state Capitol Saturday afternoon, traveling from across West Virginia, Ohio, Pennsylvania and Kentucky. Sponsored by the West Virginia AFL-CIO, the rally brought in state and national union leaders alike to speak out against many Republican lead initiatives they say will hurt workers in West Virginia, including a scale back of the state's prevailing wage, right to work, charter schools, and a weakening of mine safety regulations. With a projected $80 million budget gap by the end of this fiscal year, lawmakers are considering bills to ensure a balanced budget is maintained. Members of the Senate approved four of Governor Tomblin's supplemental appropriation bills for fiscal year 2015, the current budget year, intended to help close the gap.